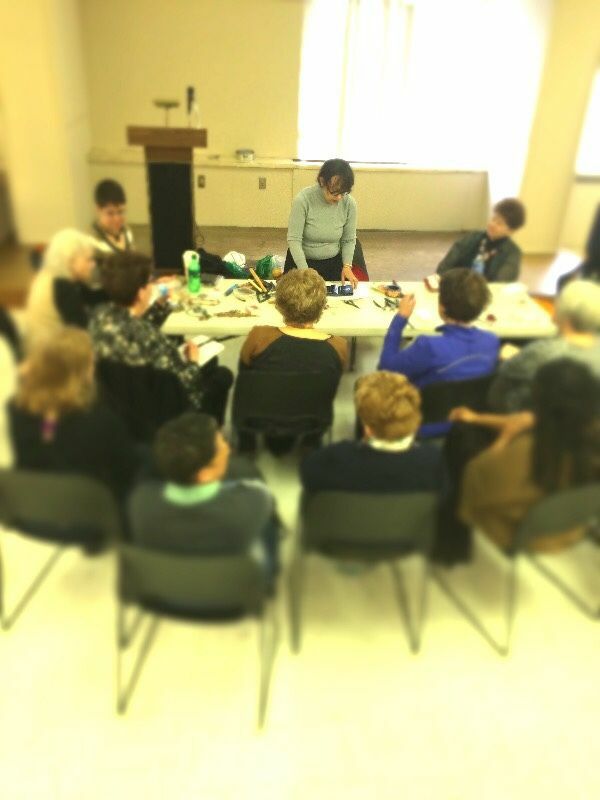 I taught a wire class at for first Greater Philadelphia Polymer Artists Meetup on March 15. I was actually substituting for Olivia Surratt, who developed the class, chose the tools and materials, and provided excellent handouts (illustrated by Trish Pfaff) for the students. I have learned a great deal about wire working from Olivia and also from Beading Yoda Jeri Schatz who introduced me to working with a torch and fine silver wire. But I have not taken any other classes and am basically self taught. And I know that not everyone has access to good teachers or the time or money to invest in a class. So here are links to information and tutorials I have found helpful. Wig Jig University has hundreds of free wire tutorials. 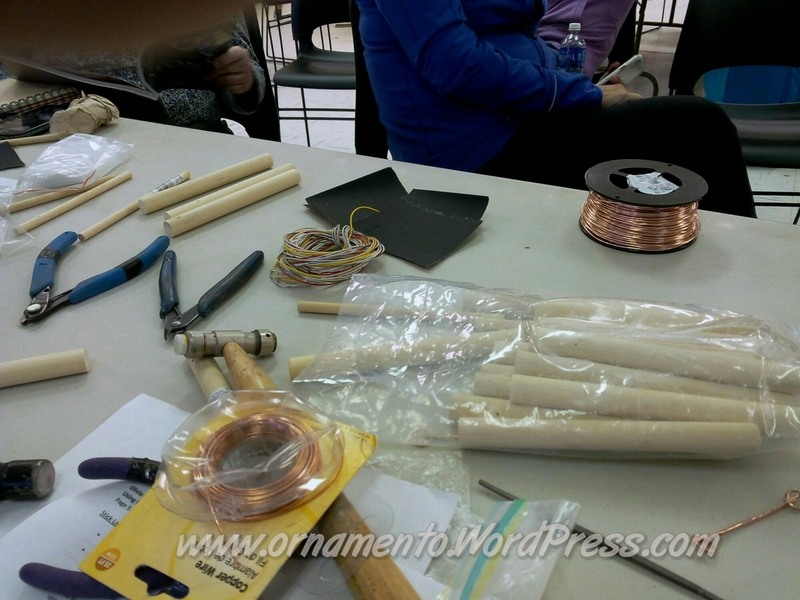 This is the site I turned to when I became interested in working with wire. 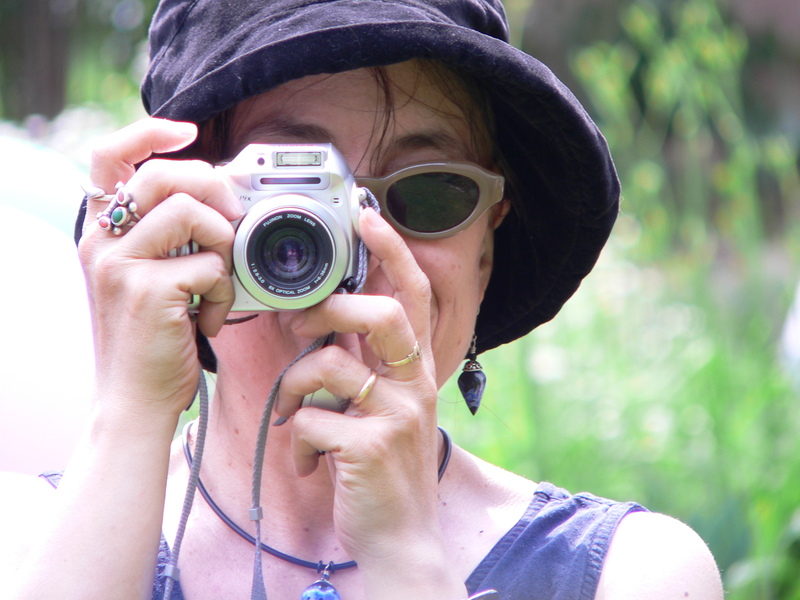 Connie Fox is another person whose web site I turned to again and again when I first started. She does not do much wire work anymore, so the gallery on her web site does not have a lot of examples. Fortunately, you can see several examples on Pinterest here and here. Along with the wire skills tutorials on her web site, you can check out her Garden Bangle Tutorial on Polymer Clay Central. Sharilyn Miller is another one of my favorites. Check out her free tutorials here. Miller has made four DVDs that are well worth the investment. (I wrote about the Ethnic Style DVD in an earlier post.). The other titles in the series are Tribal Treasures, Rings of Beauty and Bohemian Bangles. Each DVD contains more than three hours of information. You can purchase them here. Be sure to check out her blog here. Wubbers, the people who keep designing new wireworking tools that you never knew you needed until you tried them, have set up Wubbers University. You have to register for the site, but it is so full of free information that it’s totally worth it. Connie Fox, Sharilyn Miller and Olivia Surratt all studied with Lynne Merchant whose work is probably most responsible for the popularity of wire art jewelry today. See examples of Merchant’s work here and here. And watch this video of her demonstrating how to make a spiral. 3 replies to Wired and Inspired! For those of you who took the wire class, here are links to my favorite wire working resources and artists. Such a great day! I was asked if the Guild now has a Drone…. Copper wire or fine silver work well.